HTML5 Lyrics Karaoke Player Plugin enable wordpress users to sing and play song text lyrics. Note: It uses native <audio> where available and an invisible flash player to emulate <audio> for other browsers. It provides a consistent html player UI to all browsers which can be styled used standard css. With Flash as a fallback, it should work pretty much anywhere. 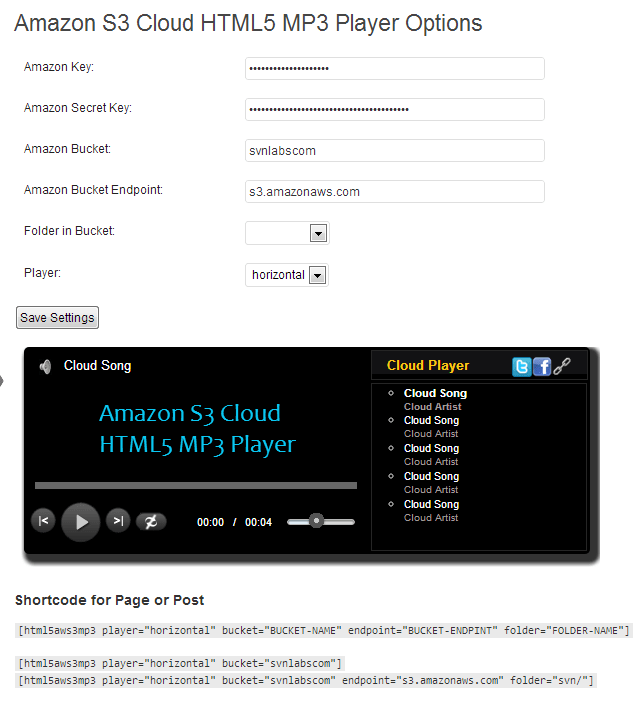 Amazon S3 Cloud HTML5 Player plugin that allows you to link to your amazon S3 bucket and sets up a HTML5 Player playlist (horizontal or vertical). This plugin will support MP3 files only. You will need an amazon account to use this. Add your amazon information amazon key and amazon secret key. Then just add the bucket to your account add folders. 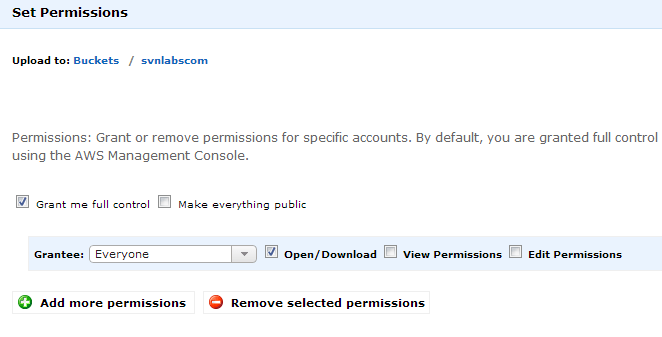 Make sure you have public permission for all your music in your S3 buckets and folders. As a webmaster, your experience with SMS as a business tool might simply be a marketer who came to you with a plan for building a mobile marketing database, and requests for API hooks into an SMS database with a provider somewhere. But what I’m talking about in this two-part series is how you (yes, you webmaster) can use the benefits of SMS messaging for your own success. In today’s post, I will focus on the uses of text messaging to help you succeed in the managing and operations of your sites and servers. 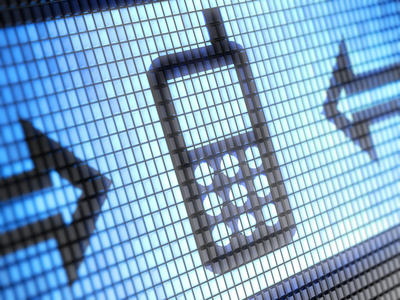 First of all, let’s discuss what makes SMS an ideal fit for the webmaster. Whether you have a smartphone or not, when you are out on a day-off excursion with the family to the beach, you probably don’t get very good mobile coverage. Certainly, voice will be patchy, and you can probably forget consistent 3G connectivity for email . How will you know if a server goes down? The small data size allows SMS messages to get through to you when voice and data services aren’t fully available. You could be in a region without 3G services at all and still receive SMS messages from your servers. If you receive email alerts from your servers, you can receive SMS. By integrating a service such as Email to SMS or an SMS alert from a reputable text message provider, you can either get both the email and SMS sent to you or have emails from a specific mailbox forwarded to your mobile as text messages. Even if you don’t have a smartphone, you can still receive emergency SMS messages in this way. With an SMS gateway integrated via API, you can create custom scripts in Java, Perl, PHP, Ruby and Python to monitor virtually any aspect of your web servers. This could allow alerts to be sent to you via SMS, or perhaps more usefully, you could actively query your servers via text messages no matter where you are. With experience, you’ll be able to expand how you use SMS for your own success, and in the Part II of the series, I’ll cover how you can use text messaging for success with your company, customers and clients. Check out your DoNanza fully personalized environment, get recommendations on new projects, set your feeds alerts, save your favorite projects, and enjoy many other great tools built just for YOU. DoNanza lets you easily find the best work-from-home projects and contests from all over the web, matching your skills and interests, Simply enter your skills or interests into the DoNanza search engine, sit back and start getting great work-from-home opportunities from thousands of sites that best match your skills and budget expectations. One search, that’s all. We want to give you the best possible tools to leverage your skills and interests to make more money working from home. The DoNanza project database contains hundreds of thousands of work-from-home projects and its constantly updated with new projects that are found across the internet – they are all waiting for you! Once we collect all those work-from-home projects, our next mission (yes, we choose to accept it) is to expose them all and help YOU find the most relevant projects by showing you all the data you need in order to make a fast decision about doing a project. We also work hard to give you real-time data regarding to the current status of each project (how many bids, avg bids, time left, etc). We want to give you every piece of information available to make sure you not only enjoy your projects, but that they pay well enough to fund your next (much deserved) vacation. How many email I can send through my mail server? The number of emails you can send depend on… “Server’s Bandwidth”, “Size of Messages”, “Expected number of failures”…..
PowerMTA – This is a product from port25.com specifically a mail delivery backend that handles email delivery, inbound bounces & replies, reporting & load balancing.